Earn FREE products by simply purchasing the required number of that item. As a member of Duck Thru Rewards, you can take advantage of special pricing on select items by simply using your Duck Thru Rewards Card.  As a member of Duck Thru Rewards, you will be able to earn points on money spent inside our stores and gasoline purchases. 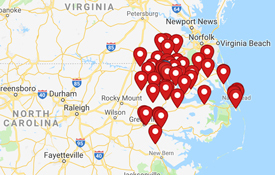 For every dollar spent in a store, you will earn 20 points (does not include tobacco, e-cigs, lottery, phone cards, money orders, or Shell gift cards). For every gallon pumped, you will earn 10 points. You must have the Duck Thru Rewards App to redeem points. Enjoy a free fountain drink of any size for your birthday! When signing up for Duck Thru Rewards, you have the option to add your date of birth in order take advantage of this offer. After you register your Duck Thru Rewards card or app, you will earn 25¢ off per gallon on your first fill up, up to 20 gallons. Registration Offer may take up to 24 hours after registration! Enroll in Duck Thru Rewards to earn fuel discounts, member pricing, loyalty rewards, and exclusive promotions. Sign up online, in-store, or download the Duck Thru Reward’s mobile app. Once you’ve enrolled, reward points are automatically loaded to your account. Download our FREE app on your phone or mobile device!